Tuesday, we're talking about llamas. Turns out they’re pretty fascinating. And a lot has changed for them over the years. Once persecuted by the Conquistadors, these days they're kept as pets, used for therapy, and dressed in costume for competition. 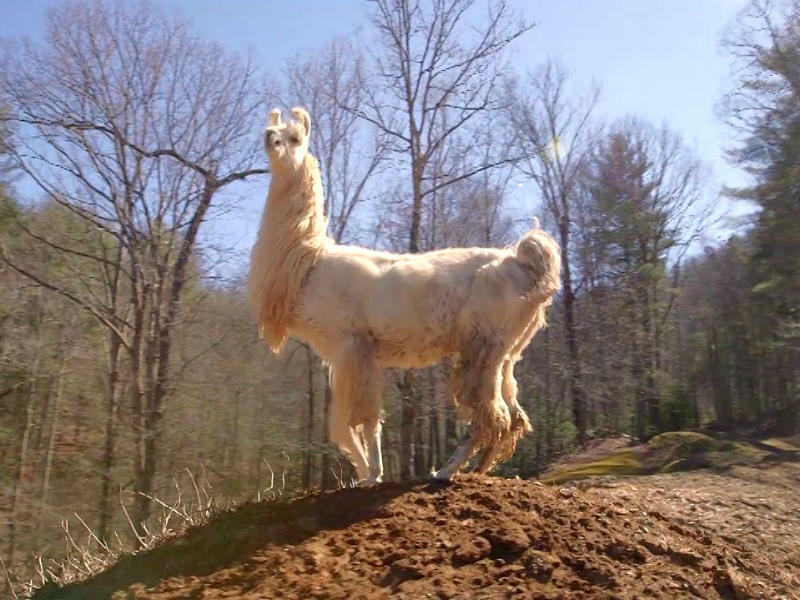 Tuesday, we continue our Through the Lens series with a documentary film about llamas. That’s right, llamas. Unless you’re part of the llama in-group, you probably haven’t given a second thought to these South American animals. As it turns out, they’re pretty fascinating. Domesticated by the ancient Incans, these days they’re kept as pets, used as therapy animals, and shown in competition. We’ll talk about where the llama came from, where it’s going, and why the animal is so endearing. On Thursday, April 5, RadioWest and the Utah Film Center will present a free screening of Tanner Shinnick and Aaron Allsop's documentary film Llama Nation as part of our Through the Lens series. It's at 7:00 p.m. at the Rose Wagner Performing Arts Center in downtown Salt Lake City. Shinnick and Allsop will join us in-person for a Q-and-A after the film. There may even be a llama or two there: we're working on it. You can get more information, and invite your friends, through the Facebook event. Tanner Shinnick directed the documentary film Llama Nation. Aaron Allsop produced the film.